My thoughts on our challenge took many paths until I decided to interpret the connections within nature. 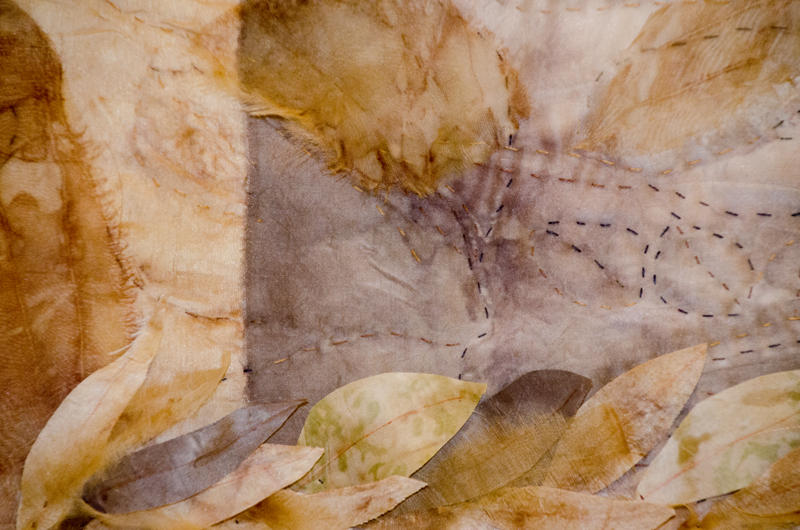 In my quilt I have depicted leaves falling to the ground to decompose back into the earth. My two backgrounds were natural dyed silks using eucalyptus leaves and rose leaves from my garden. The difference is colour is due to one pot having a rust spot. I hand embroidered outlines around the leaves with variegated silk thread. 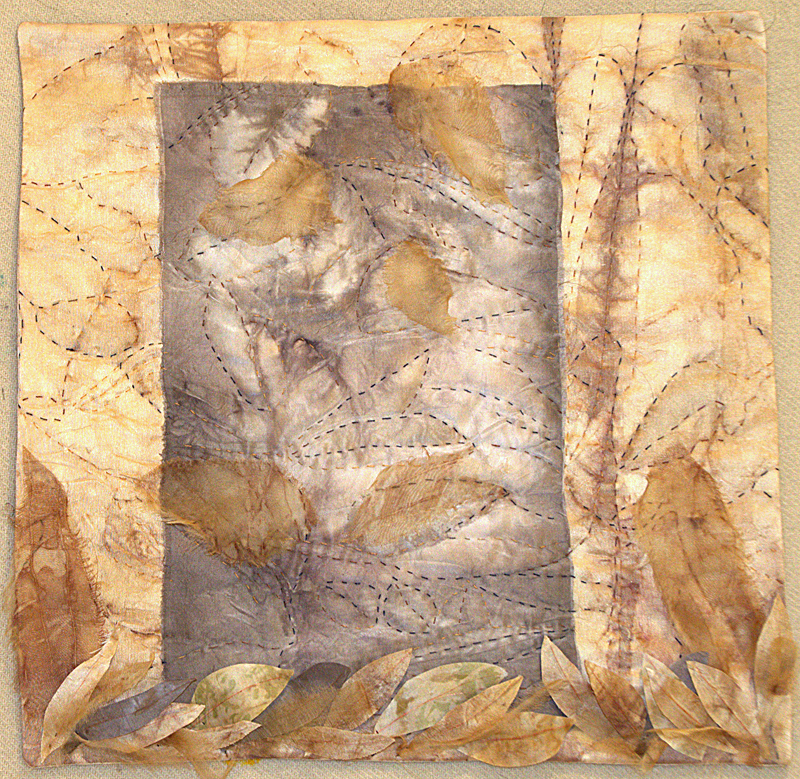 To complete the quilt I faced it with silk and added natural dyed organza and silk leaves. Beautiful Kaylene. I love your handdyed silk and the graduations in the color.